by Brenda Gervais for Country Stitches/ With thy Needle & Thread. Finished pillow measures: 8" x 7"
Stitched on hand dyed Linen with country floss colors of sage, pumpkin, cream & gold with cream wool 3D flowers sewn on. 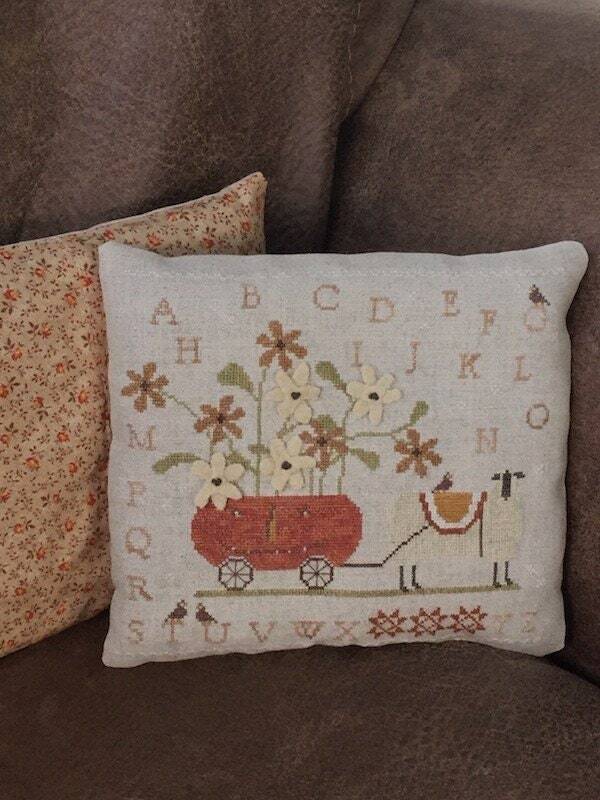 This sweet fall pillow makes a great little tuck to any shelf or corner for fall. Lightly stuffed to give a more primitive look... and backed with a petite floral cotton print. and a tiny sweet bird on top the G in upper right corner. 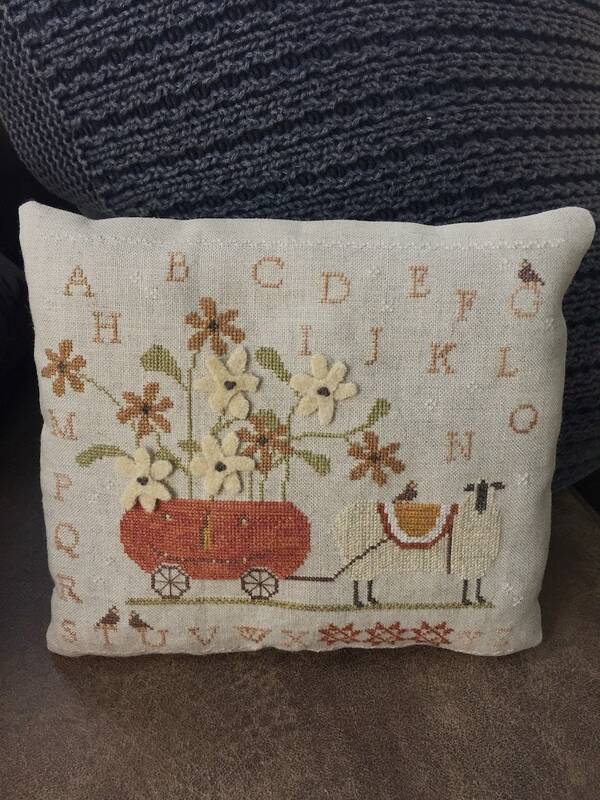 You will LOVE how this delicate attention to detail in Brenda's sweet design comes to life in this cross stitch pillow.